What are the changes to the Immigration for 2018? Migration laws and regulations in Australia are subject to constant change and frequent amendments. It’s important we keep tabs on all changes and in this blog, we introduce a few of these and briefly explore what some of these changes may mean for you. Why did Immigration change their name? The Department of Immigration and Border Security has been superseded by the Department of Home Affairs. Home Affairs now deals with all aspects relating to Immigration in Australia. 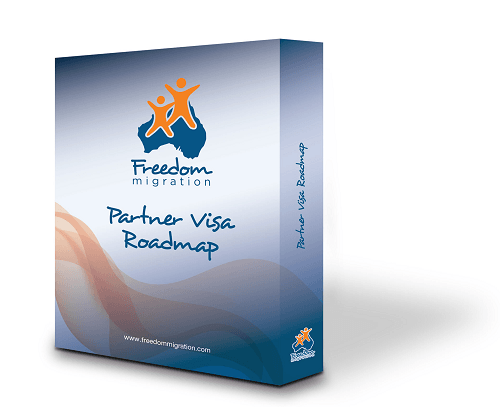 As with all big inter-departmental changes, there may be some glitches to overcome, hopefully not something that you as consumers or us as representatives to couples going through the partner visa process have to deal with but we at Freedom Migration are here to help you negotiate the new system – we’ve got your back!! What are the Proposed Partner Visa Changes? Planned changes to the Partner Visa Programme were expected in 2017 but have been deferred to 2018. The changes have not been applied yet as the Migration Amendment (Family Violence and Other Measures) Bill 2016, which amends the Migration Act of 1958, is still before the Senate. Sponsorship applications could be refused and family sponsors may be banned, especially where family violence is involved. In line with the new proposals, this means Partner Visa sponsorship applications would need to be lodged under stricter criteria and importantly, approved BEFORE the overseas Partner Visa application can be lodged. Unfortunately, this may mean a delay in the lodgement of the overseas partner application and result in altered visa requirements for overseas partners. Have the Costs increased for 2018? The GOOD news is…..there is currently no indication the department will increase the cost of the lodgement of the partner visa to cover the changes. And so from our side, we hope this has been helpful – please keep your feedback and questions coming and we will respond to any of your queries. If you have any questions about this blog then please comment below, we love your feedback and we promise to answer. What are the restrictions/perquisites for the new “seperate approval process” for the new 2018 partner visa change. Ie. do you need to be in a de facto relationship for a minimum of one year before one can submit an application to be “Authorised” by the relevant bodies. This change has not come into effect yet, we will need to wait to see what happens before we can comment on it. Do you know for which visa application date lodgement that affected by the newest processing time ( 17-25 months ) ? When i lodged my application ( on November 17 ) it said only 8-12 months for the 1st stage processing time, and just few weeks ago i checked to the site, it said 17-25 months. I just wondering if you could give me the information about that. Thank you very much. Hey Fuji, processing times are always changing, and the time it takes to process your visa will depend on your application, for example if immigration decides your application is “high risk” or the application has not been lodged correctly then it will take much longer to process. What subclass have you applied for? I applied for partner visa subclass 820/801. Is there any other way to get the information about how’s my visa appl going than just waiting ? And also, i was wondering if you have client that lodged the appl on November 2017, how’s their visa going? Have they got the temporary permanent visa yet ? Hey Fuji, unfortunately there is no way of getting an update, we discourage calling immigration unless your processing time is outside the standard time advertised. There is also no point comparing one application to another as immigration look at each case individually. Did you use an agent to apply or do you apply by my yourself. I did it by my self. Just make sure you contact details are up to date with Immigration so they can get in contact with you when they are ready to make a decision. I saw that today (July 19 2018) the processing times for Partner 309 visas jumped from 13month to 21months (for 75%). Any insight into why this astronomical jump? Processing times for a 309 vary widely, it really depends on where the decision will be made. Have you lodged already? If so where? Hi Saumya, it’s really hard to tell with offshore application as they are processed overseas, the guidelines you will get on the Home Affairs website is only a guide. Just make sure you have submitted everything and your application is ready so Immigration can make a decision on it as quickly as possible. Did you use an agent to lodge? Make sure you keep updating the evidence. Thanks Avelyn.I didn’t use an agent to lodge it. If your situation is not straight forward then I always recommend getting some level of advice before lodging. It’s really hard to comment on what would be helpful for your application without knowing all the details. Feel free to give our office a call and we can see if we can help. Thanks Avelyn for the time you spent for us.Please is there any office in perth I can go there to get advice. Iraq is not going to be straight forward, I would suggest getting some advice before applying for a visitor visa. If the visitor visa is granted you will be able to use your time together to further evidence the Partner Visa application. I had some questions about visa options and would love to get some help with it.